Hype and general excitement for Star Wars: The Force Awakens is at a fever pitch. With just over 48 hours to go, the Star Wars fans at The Outerhaven are gearing up. 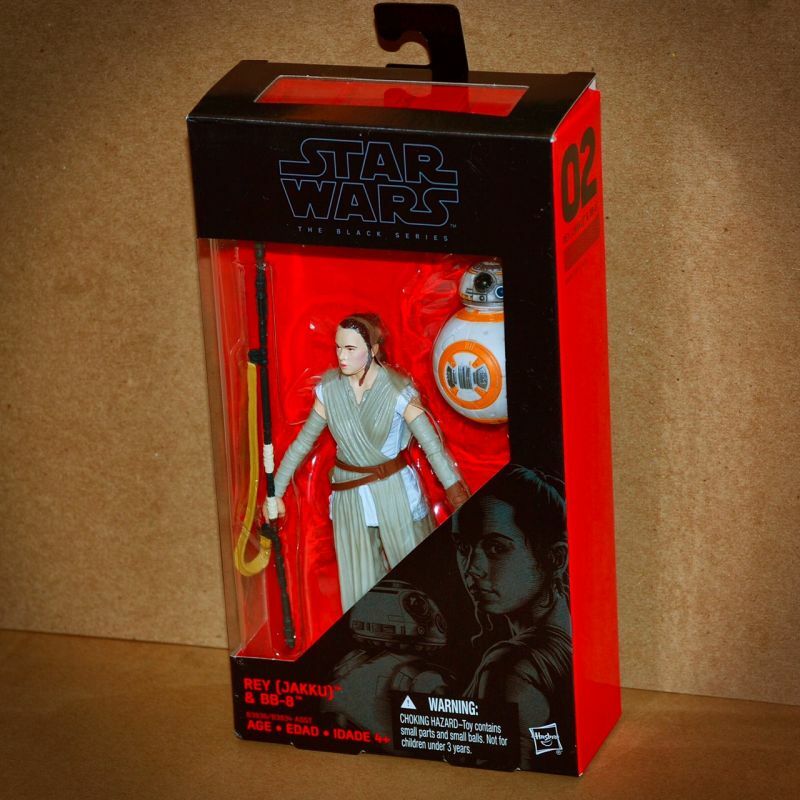 Today we will take a look at Rey and BB-8, #02 of The Force Awakens line. cutthroats of the harsh desert world of Jakku. Rey stands half a head shorter than Finn, and is taller than slave outfit Princess Leia. Rey would have benefited from double jointed elbows, because without them it is difficult to hold any weapon but her staff. Aside from this, her hip movement is hindered by the rubbery skirting hanging from her waist. BB-8 understandably doesn’t feature much in the way of articulation, and is capable of only a head swivel. His scale appears to be in line with promotional images. Rey’s sculpt is excellent. If you can see past the poor paint job, the likeness of Daisy Ridley is spot-on. The rest of her outfit is screen-accurate and features folds and texturing throughout her garb. As mentioned before, the paint job leaves much to be desired. Compare this figure to the original trilogy Han Solo #08 figure and you will see how far the paint quality of the line has fallen on non-armored figures. The paint over the wonderful face sculpt does not represent the film likeness, and the outfit has no washes or highlighting. BB-8 is a different story, however. He is suitably dirty for literally rolling around a desert planet, and the dark wash they have applied brings out the detail of his sculpt. 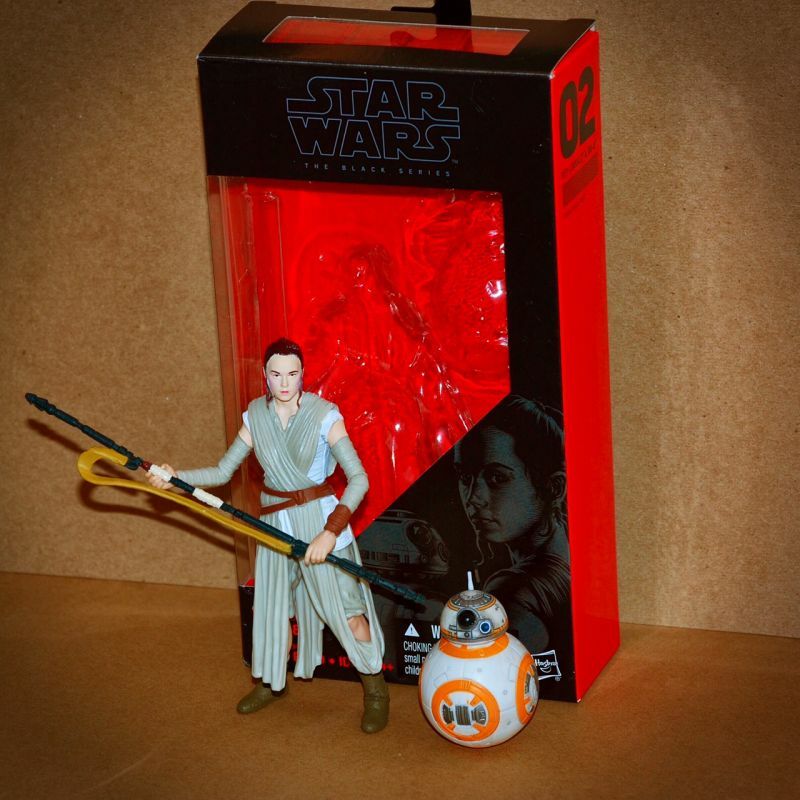 Rey comes with two accessories – her staff and BB-8. 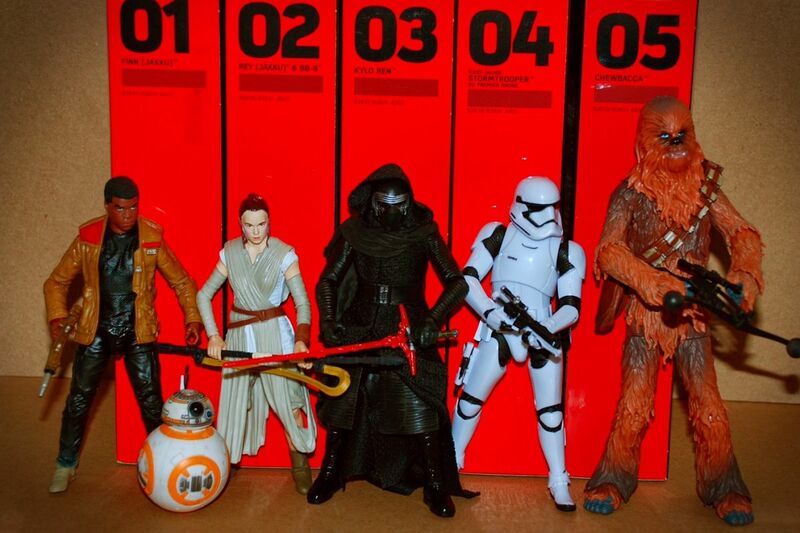 The iconic BB-8 is the standout here, though I think she would have benefited from the same accessories as the 3.75″ Rey Black series figure. The figure itself has a lot of potential that is unfortunately wasted by poor paint and limited accessories. 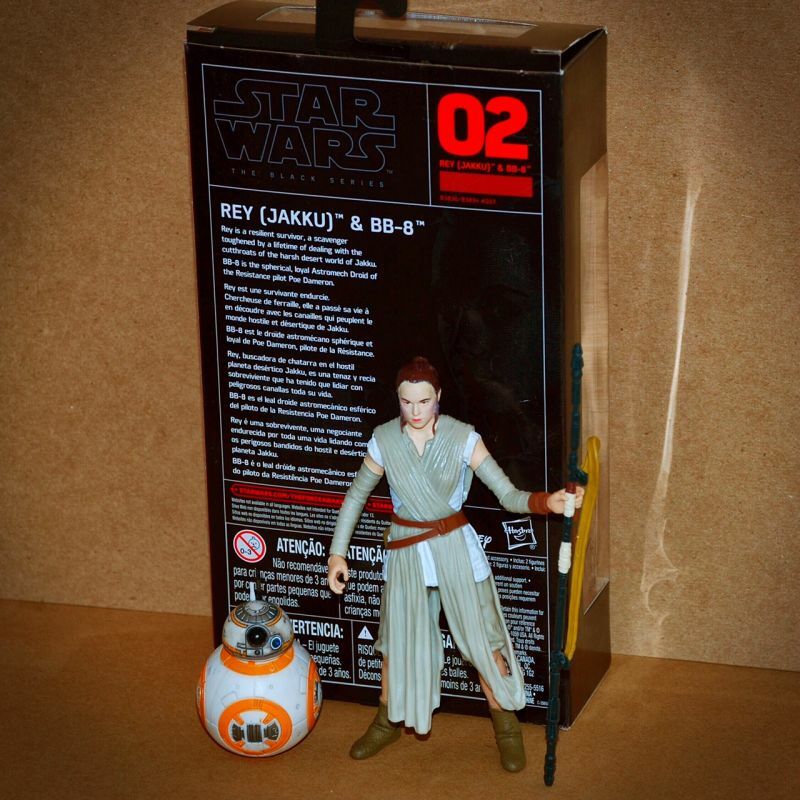 This is the first 6″ representation of Rey and BB-8 and is worth collecting for that reason. I will be looking forward to future Rey figures (possibly in her Resistance outfit) to be the must-have version of the character.